Starting in January 2017, all cell phones sold in India must have a panic button that allows the user to call for help. In addition, all cell phones will be required to have a built-in GPS system starting in January 2018. These changes have been mandated by India’s government as a response to the recent incidences of violence against women. In 2012, a 23-year-old student died after being gang raped on a bus in Delhi. Another female was raped by an Uber taxi driver in Delhi. In 2014, India reported 339,922 crimes against women, out of these crimes there were over 36,000 rapes. India’s ministry of communications and technology released a statement conveying its support of using technology to combat crime. “Technology is solely meant to make human life better and what better (use) than … for the security of women,” the statement said. New phones will have certain keys that trigger emergency calls. In one method, users must keep a finger pressed on the number 5 or 9 to alert the need of help. On smartphones, pressing the power button time quickly three times will trigger a call for help. Moving forward, there is a concern about how women will access cell phones. In rural areas, men tend to control the use of cell phones. 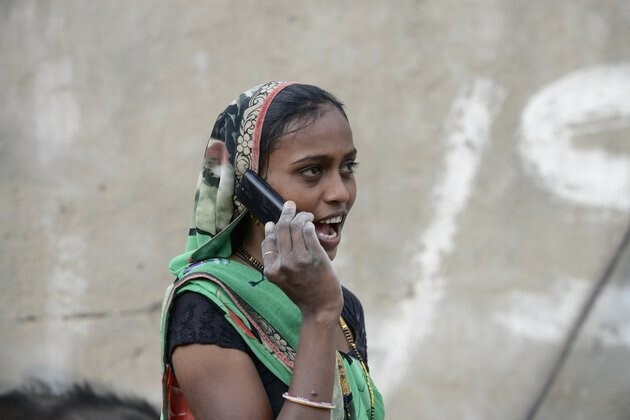 In Gujarat, girls and single women in various villages have been banned from owning cell phones.